Citation | Saidu B, Mohammed A, Ishak JA, Jibril AH, Garba B, Ibrahim HM (2019). Comparative evaluation of haematological and some vital parameters of tethered and non-tethered red sokoto goats. Adv. Anim. Vet. Sci. 7(1): 1-4. Copyright © 2018 Saidu et al. This is an open access article distributed under the Creative Commons Attribution License, which permits unrestricted use, distribution, and reproduction in any medium, provided the original work is properly cited. Tethering is an animal husbandry method of confinement that is achieved by fastening an animal with a chain, rope or other materials to a central anchor point, thereby restricting its movement within a specific area (Rolles et al., 2014). The method is a modification of the traditional feeding system which confines the animals within a restricted location for grazing, as a way of restraining the animal to prevent inflicting damage to crop farms (Ogbedeet al., 2000). The practice is also associated with social and economic benefits. A typical instance, is demonstrated by communal conflicts and payment of compensations by farmers whose animal escaped from restrain and inflict damage to the crops in neighboring farms; as reported by Otchere and Kallah (1990) in northern Nigeria. While restrain by tethering has impacted significantly in promoting harmony between farmers and herdsmen in Nigeria, the practice is also associated with some not so desirable adverse effect on the feeding and performance of goats. In general, goats are usually tethered by neck loops to pickets under shelter at night. The traditional practice is that, goats are allowed to roam and graze freely during the day, albeit under supervision; while at night they are restrained. This is thought to subject the goats to stress and discomfort that adversely affect their performance. However, the actual effect tethering on goats has not been substantiated. In Nigeria, the goat population is estimated to be 34.45 million of which the majority is found in the Northern part of Nigeria (FDLPSC, 2006). There are two breeds of goats in Sokoto, the white or dappled Balami and the red Sokoto. The red Sokoto goat is kept in virtually all compounds within the state. The Red Sokoto, Kano brown and Maradi are the most widespread and well-known type in Nigeria (Shittu et al., 2008). Goat is one of the oldest domesticated species and has been used for milk, meat, hair and skin over most part of the world (Aina, 2012). In the developing countries goat plays vital roles in the economy of many poor livestock owners who earn their income through rearing the animal throughout the year on different terrains (Fonseca et al., 2006). In the Northern part of Nigeria, farmers believed that goat do perform better when they are released to graze and supplemented with less amount of feed rather than keeping them under confinement that require large amounts of feed. Because the method is routinely practiced and generally accepted as a good husbandry practice; establishing scientific evidence of the effect the practice has on goats is essential. This investigation seeks to determine the effect tethering has on blood indices of red Sokoto goats as well as some vital parameters. 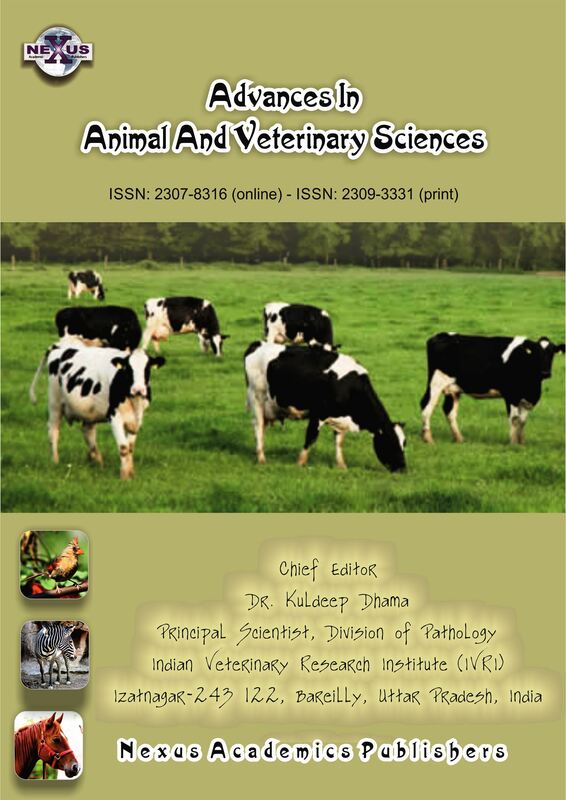 Some vital as well as hematological parameters are indicators of health status of an animal and are significant in the diagnosis of animal diseases. Considering that tethering could be a source of stress that can affect these parameters, it has become pertinent to avail this important information for the benefit of livestock farmers. The study was conducted in the small ruminant research pen of the Faculty of Veterinary Medicine, Usmanu Danfodiyo University, Sokoto, Nigeria. The state lies on longitudes 408’E and 60 54E and between latitudes 120N and 13058’N. The animals were purchased from a local livestock market (Bodinga International Market, Bodinga Local Government Area, Sokoto State) and were conditioned for two weeks to acclimatize. The pen where the animals are housed is well ventilated and made up of galvanized metal sheet roof with a concrete floor. Six apparently healthy does were used for the study. The Delahunta protocol was used to estimate the ages of the does, which ranges from 6 - 8 months with an average body weight of 14.5 kg. The does were allotted into two groups (tethered, and non-tethered). The tethered does were tied at the base of the fore limb to an iron rod using rope while the non-tethered does were allowed to roam freely within the same pen. All the animals were fed on bean husk, hay and pipe borne water ad libitum. The cardinal physiological variables, which includes: rectal temperature (RT), pulse rate (PR) and respiratory rate (RR) were measured and recorded between 08:00-09:00 h (morning) and 04:00-05:00h (evening) at 48 hours interval. Rectal temperature was obtained with the aid of a digital thermometer (Dentro Digital Thermometer). Pulse rate was obtained by counting the pulsation felt in the femoral artery per unit time, while the respiratory rate was determined by counting the movement of the flank region at the paralumbar fossa per unit time and presented as number of breadth per minute. The data were exported and stored in Microsoft Excel® 2007 where descriptive statistics was employed to analyze the variables. The data were further subjected to independent student t-test to compare means between hematological and vital parameters of tethered and non-tethered goats with the help of Graph Pad Instat ®. The value of p <0.05 was considered statistically significant at 95 % confidence interval. There was a statistical significant difference (p<0.05) in the eosinophil count between the tethered and non-tethered Red Sokoto goats. Similarly, an obvious difference between PCV of tethered and non-tethered Red Sokoto Goat was also observed. However, the difference was not statistically significant (Table 1). As shown in the figures, there is an obvious diurnal variation in the temperature, respiration and pulse rate between the tethered and untethered Red Sokoto Goat. not be over emphasized. In this regard, goats reported to contribute about 20% of Nigerian meat supply. There are basically two types of housing system commonly practiced for livestock in Nigeria; i.e. tethering and loosing. Tethering practiced in order to improve the effectiveness and efficiency of production. Tethering limits animals’ movement and conserve energy so as to ensure maximum utilization of nutrient for the production, including fat deposition and body weight gain (Lee et al., 2008). Nevertheless, tethering is also carped for its reduction of animal welfares, particularly with regards to freedom from discomfort and freedom of animals to express their normal behavior (FAWC, 2007). This restriction seems to exert some level of psychological stress evidenced by fluctuations in some physiological parameters that may produce some undesirable effects on the animal’s health and productivity including suppression or otherwise of the immune system. (Sato, 2001; Phillips, 2002). In this study, the increase in PCV observed in the tethered group may be as a result of exposure to solar radiation because the pen is semi closed and the animals could not move away from the rays, but rather, regulate heat through sweating. 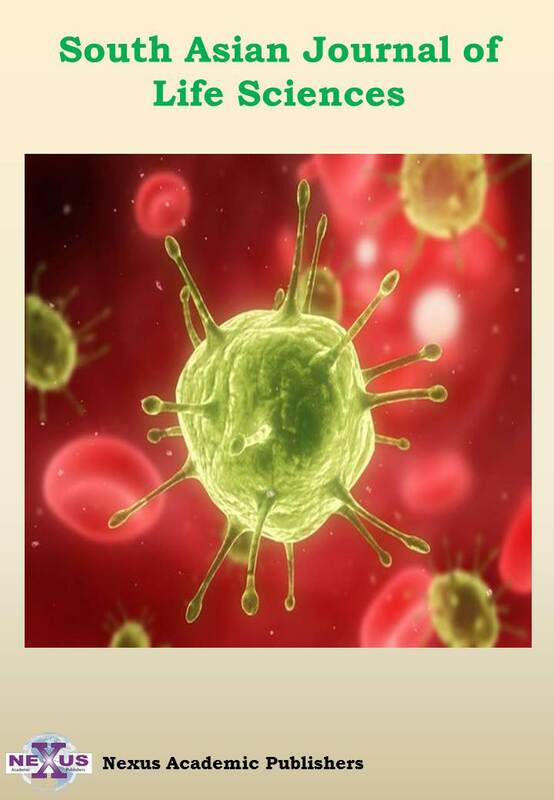 This predisposes the animals to dehydration which may have resulted in hemoconcentration and hence the increase in PCV. On the contrary, acute heat exposure has been reported to cause an increase in plasma and blood volume while packed cell volume decreases significantly in swamp buffaloes (Chaiyabutr et al., 1997). The authors argued that, the changes may be due to movement of water from either extravascular tissue space or of the digestive tract into the intravascular compartment. However, it is important to note that, goats are draught animals with relatively low body water and this may be the reason for the difference in comparison with swamp buffaloes which are known to have high body water contents. Sunlight is known to be a very good source of vitamin D which is also considered an immunomodulatory agent. 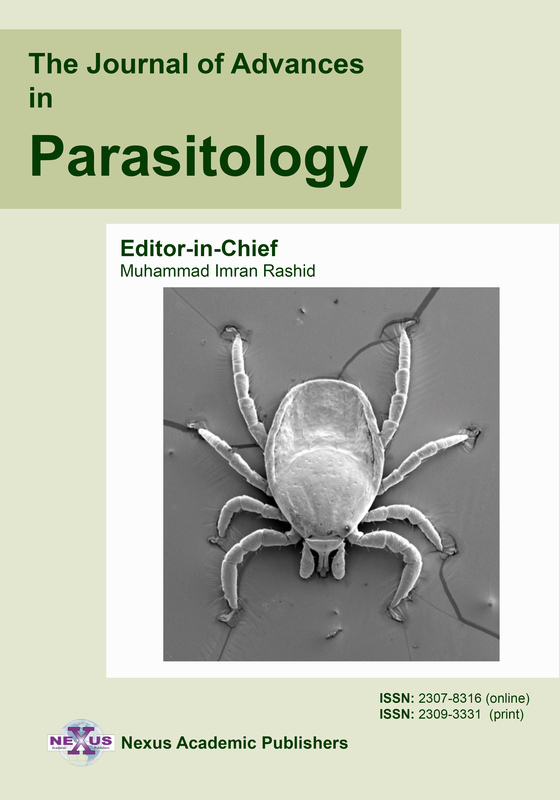 In this investigation, a significant increase in eosinophils was observed and this may not be unconnected with the prolongs exposure of the animal to sunlight, which result in high levels of vitamin D and activation and production of eosinophils (Filho et al., 2018). Similarly, the increase in respiratory rate could be a compensatory mechanism to remove excess heat from the body, it could also be as a result of rumen stasis, as the animals are anchored in a particular place and cannot move about, this could have resulted in alteration of rumen and body pH resulting in metabolic acidosis and hence the increase in respiration as a compensatory mechanism. On the other hand, the body temperature for the non-tethered does is within the normal range, perhaps because they have the freedom of moving away into a shaded area of the as the heat from the sun increases. An increase in body temperature was observed in the non-tethered group during the morning hours, and this could be as a result of increased activities in the group during feeding. The animals in this group move freely to access food and water which results in increased metabolic activities and heat generation that could have resulted in increased body temperature. Nonetheless, the increase in body temperature in the tethered group in the evening may be associated with exposure to solar radiation as well as heat transfer through conduction from the walls of the pen. The tethered animals could not move away from the sun and could only rest on the wall to shield away from the sun at some time of the day. The tethered animals also showed a higher pulse rate, which can be attributed to the body’s response to increased body temperature which may have resulted in increased cardiac activity to pump more blood to the surface for heat to be eliminated. From the results of this investigation, tethering was found to exert some effect on some of the physiological parameters tested in Red Sokoto goats. Hence, goat meant for production should be discouraged from being tethered or perhaps if necessary, should be restrained in properly shaded pens. The authors wish to acknowledge the support and assistance given by Mallam Ngaski and Mrs Mojiminiyi during the analysis of the results. The authors wish to declare that they have no conflict of interest in respect of this manuscript. 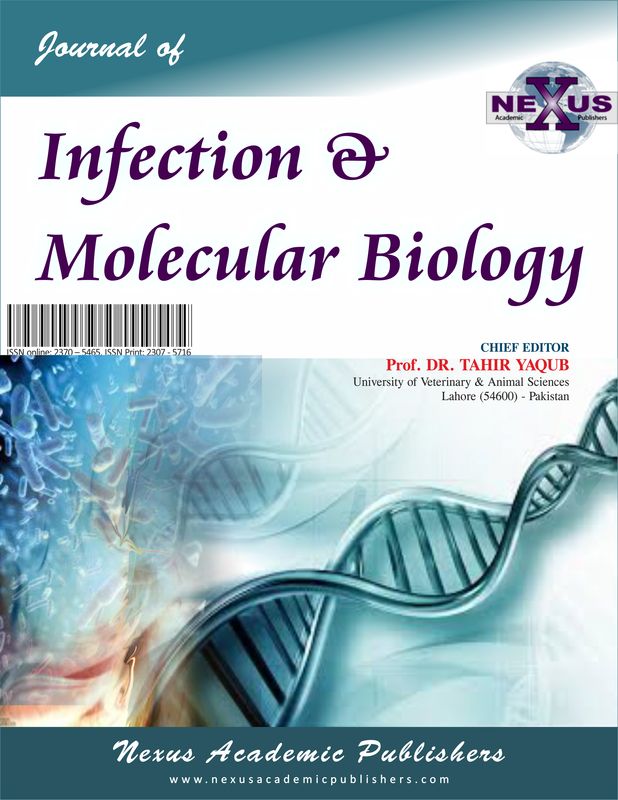 Bashir Saidu and Abubakar Mohammed conducted the experiment; Jaafar Abdullahi Ishak, Abdulrahman Jibril Hassan and Bashiru Garba assisted in the Development of the manuscript along with Bashir Saidu; Hassan Maina Ibrahim conducted the statistical analysis and the critical review of the manuscript before submission. •	Aina ABJ (2012). Goat (Capra hircus): A Misunderstood Animal. Funaab Inaugural Lecture Serises. No 35. 54. •	Chaiyabutr N, Komolvanich S, Sawangkoon S, Chanpongsang S (1997). Alterations in potassium homeostasis during heat stress in swamp buffaloes (Bubalusbubalis). J. them. Bid. 22(3): 207-212. •	Coles EH (1974). In Veterinary Clinical Pathology 2nd Edition WB Saunders Publication Company Geneva. Pp 110-116. •	FAWC (2007). Five Freedoms. Farm Animal Welfare Council, UK. (http://www.fawc.org.uk/freedoms.htm). •	Federal Ministry of Agriculture and Rural Development, Federal Department of Livestock and Pest Control Services(FDLPSC)(2006): Pp. 1-15. •	Filho JTDS, Alícia SA, Felipe MR, Paola de ASA, Virgínia RFS (2018). Impact of vitamin D deficiency on increased blood eosinophil counts. 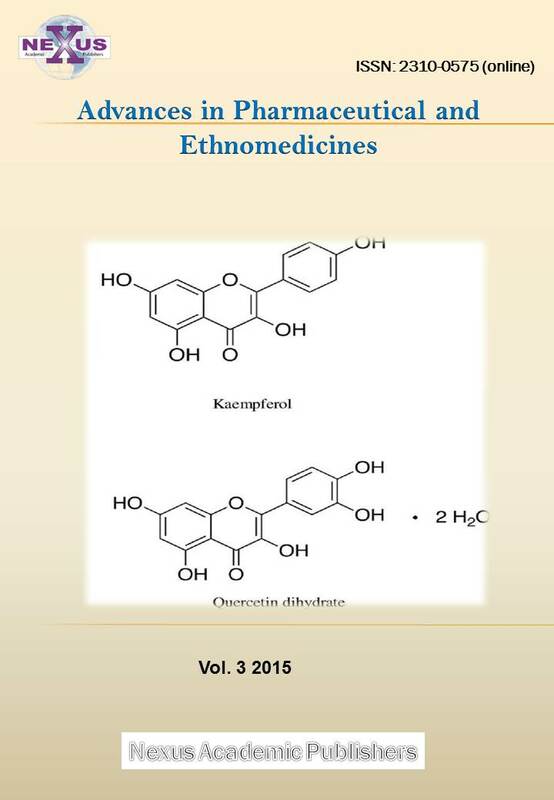 Hematol/Oncol. Stem Cell Therap. 11(1): 25-29. •	Fonseca JF, Burschi JH, Pontes RA, Prosperi CP (2006). Synchronization of estrus in Toggenburg goats during the breeding season. South Africa J. Anim. Sci. 34: (suppl 1). 89-91. •	Lee Sung Ki, Panjono, Sun, Moon K, Youn BJ, Tae SK, Ik SL, Young HS, Chang-Gie K (2008). Effects of Tethering and Loose Housing on the Meat Quality of Hanwoo Bulls. Asian-Aust. J. Anim. Sci. 21(12) : 1807 – 1814. •	Ogebe PO, Ogwu AO, Mustafa BS, Mc Dowell LR (2000). Effect of tethering feeding system on the performance of West African dwarf goats. Livest. Res. Rural Develop. 12(1) 2000. •	Otchere OO, Kallah MS (1990). Small Ruminant Production under Traditional Management in Nigeria. In: The Nigeria Sheep and Goat Production Manual (Editor: O OOsinowo). NAPRI, Zaria. •	RSPCA (2013). Australians knowledge base: is tethering of farm animal acceptable. An online material accessed on 27th September, 2016 at 2:40 pm. •	Sato Sh (2001). Development of farm animal behavior science to applied ethology: Environmental enrichment, individual difference, and pest control. Asian-Aust. J. Anim. Sci. 14:212- 217. •	Schalm WO, Jain NC, Cavil EJ (1975). 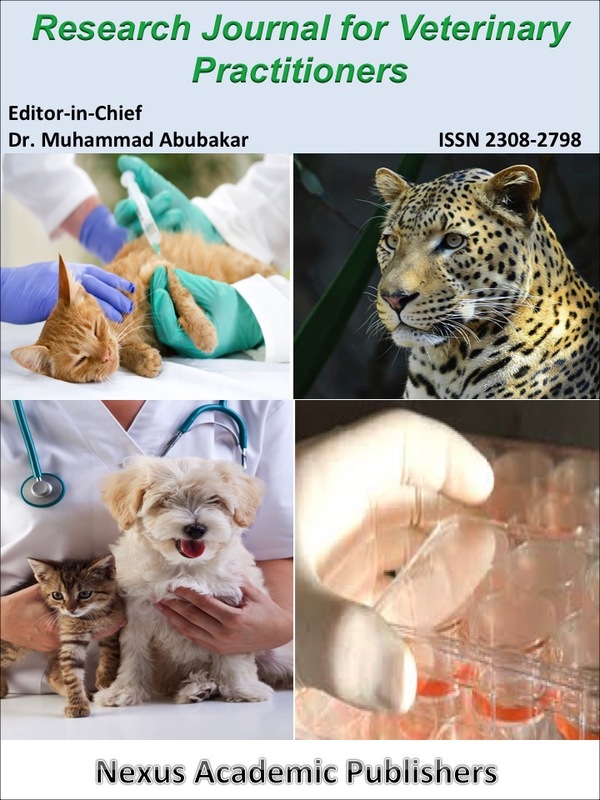 In Veterinary Hematology 2nd Edition Philadelphia, Tea and Febbinger Press pp 495-512. •	Shitu A, Chafe UM, Buhari S, Junaidu AU, Magaji AA, Salihu MD, Lawal MD, Jibril A (2008). 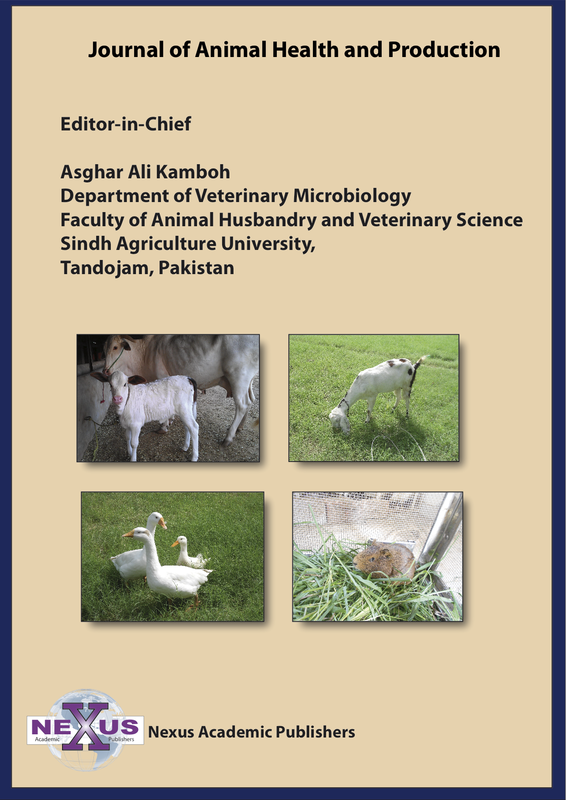 An overview of Mastitis in Sokoto Red Goats, Nigeria, Sokoto J. Vet. Sci. 7(1):65-70.